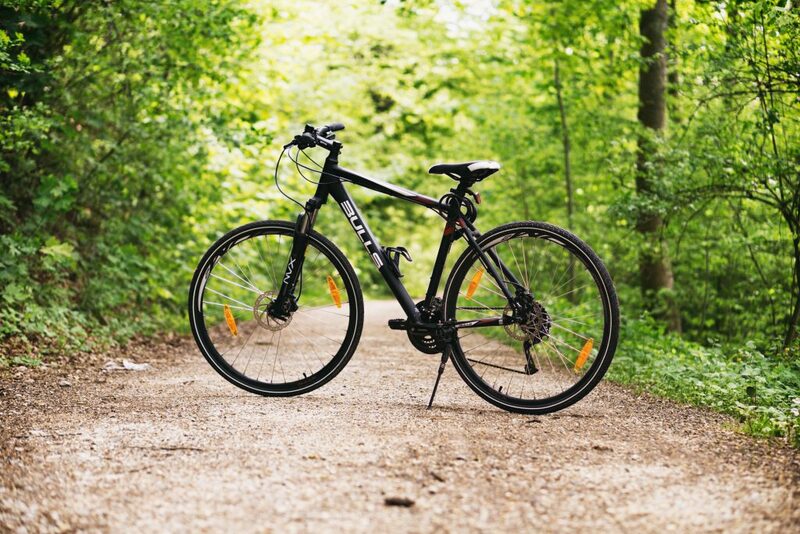 Mountain biking is a specific kind of bicycle riding which uses specially designed bikes from a bike shop which are ideally suited to riding off-road. This sport requires balance, fitness, endurance, core strength, bike handling skills, and an adventurous nature to overcome high inclines and rough routes. Like other kinds of bike riding, mountain cycling gives many benefits to cyclists. Cycling directly involves the legs. It helps with toning up quads, calves, and glutes as well as strengthening tendons. Mountain biking is more challenging. Riding bicycles off-road in rough terrain requires more strength from your legs. Strength training by mountain biking is becoming more popular among fitness enthusiasts. It gains muscle endurance, strength and flexibility. Riding mountain bikes together with weight lifting can give huge benefits to your body. Fat burning normally takes place when the heart rate is increased so interval training, cardio and intensive training burn a lot of fat. You can go mountain cycling to burn fat by peddling. Mountain bikers often set their bike at a high gear and get more of a grind. Changing the way in which you ride a bike can help to burn a lot more fat. Instead of continuing to ride at the same pace, peddle as fast as you can for 30 seconds and then switch to your normal pace for 30 seconds. Do this for 5-10 minutes and then you will feel the burn. Use different routes and avoid repeating the same ride to keep your body guessing and working harder. The heart and lungs connect with the cardiovascular system. The more it gets strengthened, the more efficient these can work. When you are riding a bike, you inhale oxygen into your body and so more oxygen gets pumped through your blood. The heart rate is increased which corresponds with a better flow of blood through your body. Mountain cycling over a period of time increases the endurance of your heart and lungs which can also improve cardiovascular performance and fitness levels. Knee and joint problems are obstacles of many people for exercising, especially the overweight and elderly. Riding a bike has the advantage that it has no bearing on the knees like running does. Riding a bike reduces the risk of joint injuries and promotes fitness endurance. Many people choose a bike as an alternative form of exercise which won’t put too much pressure on their knees and joints. 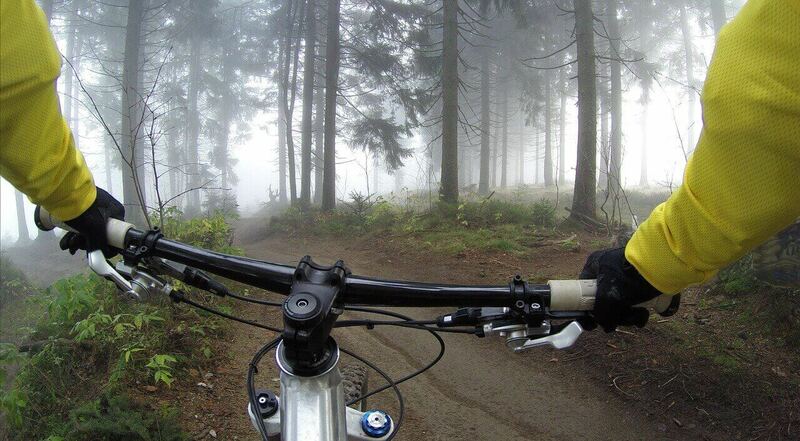 Unlike other kinds of riding, mountain biking often takes place in remote areas where only trees grow. It reduces the risk of being hit by a car (which happens a lot to cyclists) and it is done in an environment which is not noisy. You will feel peaceful from inhaling the natural scents and fresh air. At the same time, it is fun and challenging with unpredictable routes.